Over the last decades, and in line with the adoption of the Sustainable Development Goals (SDGs) in 2015, cities and regions have played an important part in helping to implement global agendas at local level through their Decentralised Development Cooperation (DDC) activities. This report analyses the evolution of financial flows, emerging trends and innovative paradigms related to the development co-operation of local and regional governments, including but not limited to official development assistance extended by sub-national governments. 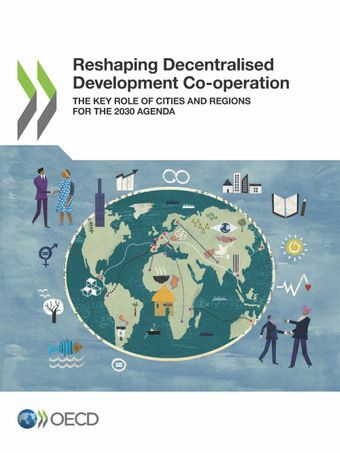 It promotes a territorial approach to development co-operation and provides policy recommendations to maximise the effectiveness, benefits and outcomes of DDC at all levels, while acknowledging the diversity of approaches, definitions and concepts across OECD DAC countries active in DDC. The report was launched at the EU Partnership Forum 2018 on 26 June 2018 in Brussels by Aziza Akhmouch, Acting Head of the Cities, Urban Policies, and Sustainable Development Division, OECD and Anna Lixi, Head of Local Authorities Sector, Local Authorities, Cities, Infrastructure, Digitalisation, Directorate General for International Cooperation and Development, European Commission.